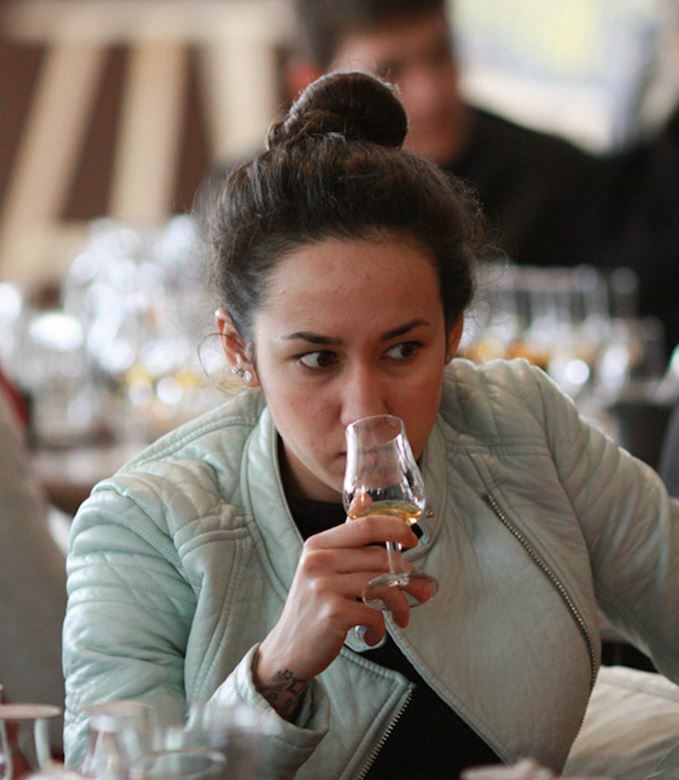 Translating NAS malt whisky into Russian is no easy process – and consumers are showing signs of being increasingly suspicious of the concept. Erkin Tuzmukhamedov reports. In the latest version of my book, A Guide to the Whiskies of the World (which gets fatter with each new edition), I added a chapter on no-age-statement (NAS) malt whisky. In the chapter I give an explanation for what gave rise to this relatively new phenomenon for Scotch, leaving behind the centuries-tested tradition of putting age numbers on the label. That’s probably the reason why Bacardi has asked me to be a teacher at its Bacardi-Martini Barmen School. It’s a travelling school for bartenders – in this year’s edition, Dimi Leshinska of Grey Goose explains food pairing with vodka-based cocktails, Italian bartender Alex Freeza gives a masterclass on vermouth and bitters, London-based Bek Narzi dwells on motivation in the bartending industry – and I explain malt whisky and help launch ‘The Last Great Malts’: Royal Brackla, Craigellachie, Aultmore, Deveron and Aberfeldy. I have a small, five-litre copper pot still, and during my set distil cheap local beer right on the barstand, showing the different fractions of distillation, and allowing everybody to see the progress of the spirit’s taste and aroma profile, from the first drops of spirit through to heart and feints. Then I discuss aging and spirit caramel or E150 (Russians are becoming very suspicious about all these Es with different numbers which are called ‘vitamins’ here), explaining that caramel is not a dangerous additive (though unwelcome from my point of view in a premium whisky) and about chill filtration. But I always start with definitions. 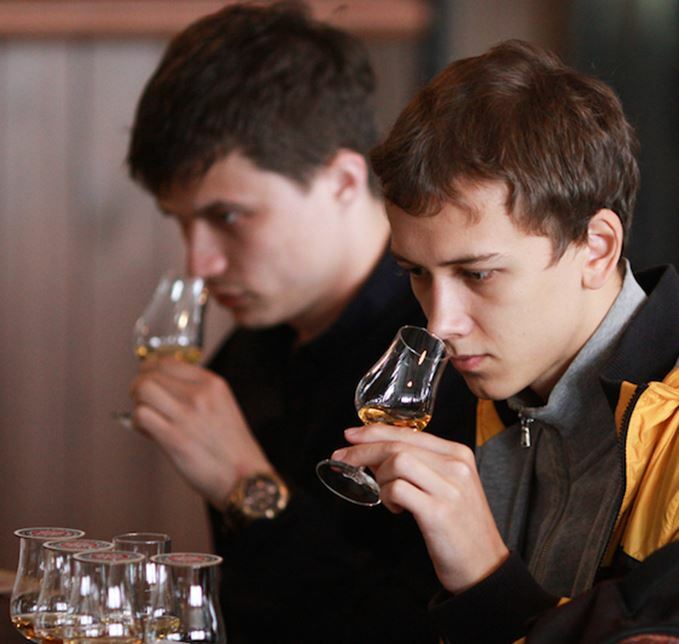 In Russia it's somewhat difficult to explain the notion of ‘single malt’. In the early 1990s, when malts first became available in Russia, someone (not me!) translated ‘single malt whisky’ as ‘односолодовое виски'. This translation sounds more like a ‘whisky made of one malt’, than a malt whisky made at one single distillery. ‘Craft’ beer is a current fad here, and craft brewers tend to put all ingredients on the label – various types of malts, hops etc – and consumers often tend to think that only one type of malt is used in a single malt, rather than a malt whisky from one distillery. Single grain was similarly given a translation of ‘виски однозерновое', which definitely means it is made from one grain – when at least two grains are used to make grain whisky. So you need to be a little boring to explain just what the term really means and that the guy who introduced this translation neither understood the technology of whisky, nor had a proper command of English. A correct translation – солодовый виски, выгнанный на одной дистиллерии – is too long, so the confusing term is probably stuck forever. Languages are different, and English on average is four times more compact than Russian. Recently I held a Last Great Malts tasting in a cigar club in St Pete. One of the guests was a co-owner of a big retail chain and, after I spent some time explaining the reasons why the Scotch whisky industry had resorted to making NAS, that the aged stocks simply were not there to meet the sudden international demand, he came up with an idea: ‘If the Scots don’t have enough whisky, maybe we can organise a joint venture with them? And this was no ordinary whisky consumer, but the co-owner of an important retail chain. So sometimes you have to start to explain that Scotch whisky is a protected Geographical Indication – really boring. This reminded me of a true story from the early 1980s: a group of representatives of the Soviet state-owned monopoly SoyuzPlodoImport (a foodstuff importer and exporter) had talks with a major Scotch whisky company about making whisky in the USSR under licence. This was after the success of a Pepsi/Stoli deal, where Pepsi built a production facility in Novorossisk and got distribution rights for Stolichnaya vodka in return. I have heard that the Scots explained that some of the brands could be shipped in bulk, to be bottled in USSR, but of course not the major brands. But the Soviet functionaries wanted technology and to produce leading brands of Scotch whisky in USSR under British licence. Johnnie Walker Black Label, I’ve been told, was the brand Soyuzplodoimport was aiming at. And they could not understand why they could not do it. But getting back to NAS. Russians are somewhat conservative and their reception of NAS lacks enthusiasm. I talk often to ambassadors for leading malt brands and they seem to be unanimous: Russians tend to be distrustful of bottles without numbers. Andrey Udovitsa, who represented Laphroaig for a few years (but recently shifted to Champagnes at Pernod Ricard), Igor Kalymov of Highland Park and other friendly brand ambassadors are of the same opinion: NAS has had a slow start in Russia, and consumers prefer to have an exact understanding of the age of the bottle contents. Also, known brand names are often used as gifts. I’d avoid the term ‘bribe’. A bottle – even an expensive one – is more a sign of attention and appreciation. For a functionary (state/police/whatever) who is a recipient, of these gifts, it’s important to know just how much the giver values him. And the numbers were for a long time an indicator of the approximate price of whisky. Some important figures in Russia and CIS are rumoured to be fans of 30-year-old Macallan, with Kazakhstan President Nursultan Nazarbayev and Aman Tuleev, Governor of the Kemerevo Region of the Russian Federation, said to be two of the most noted Mac30heads. But 30-year-old Macallan is really hard to find nowadays. And the current alternative of NAS Macallan, it seems, is leaving these noble statesmen somewhat disoriented.